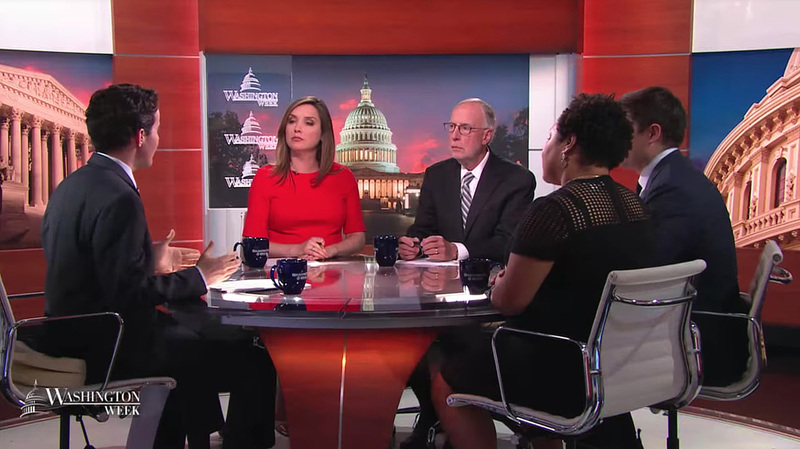 “Washington Week, the venerable Friday night political roundtable discussion show on PBS, saw a complete makeover this past week, debuting a new logo, set, motion graphics package and theme tune. 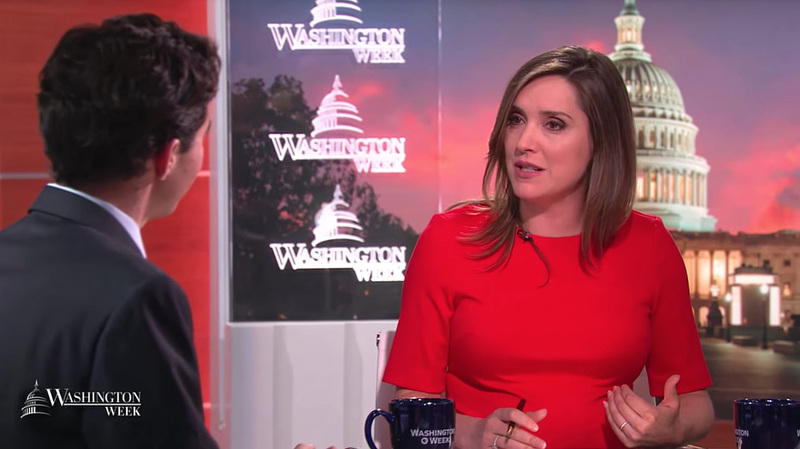 Produced by Washington PBS affiliate WETA, the makeover is the largest visual change for the show in the post-Gwen Ifill era and creates a unique look for moderator Robert Costa. 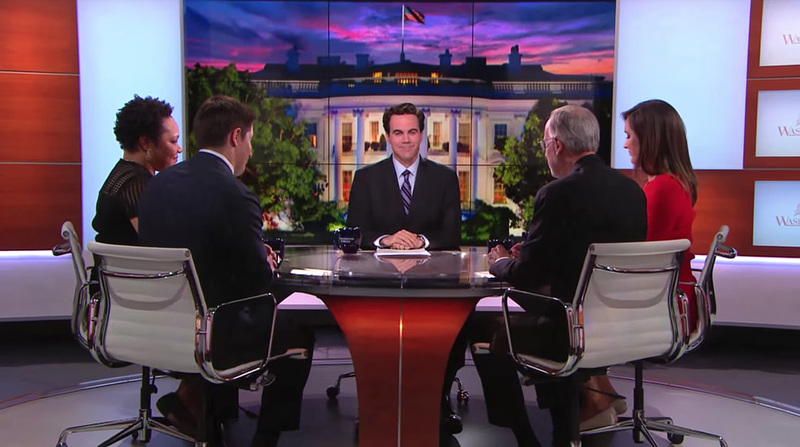 The set design, from Clickspring Design with fabrication by TSA Inc., features a 3×3 video array from Primeview as its primary moderator background, with an image of the White House at dusk used during the set’s debut episode. In wider views, the shot-blocking reveals more of the White House, but, notably, in most one-shots of Costa, the background is a tighter view of the building’s south portico. 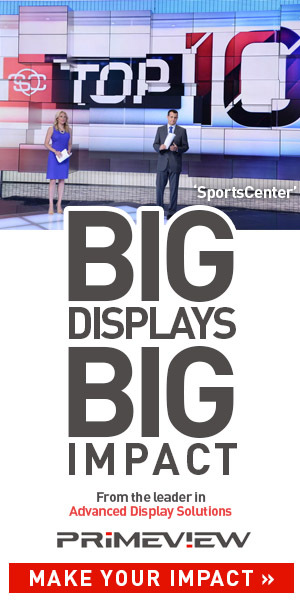 Flanking the video panels are a blend of bright, backlit panels and warm woods as well as a stack of panels featuring the show’s new logotype. 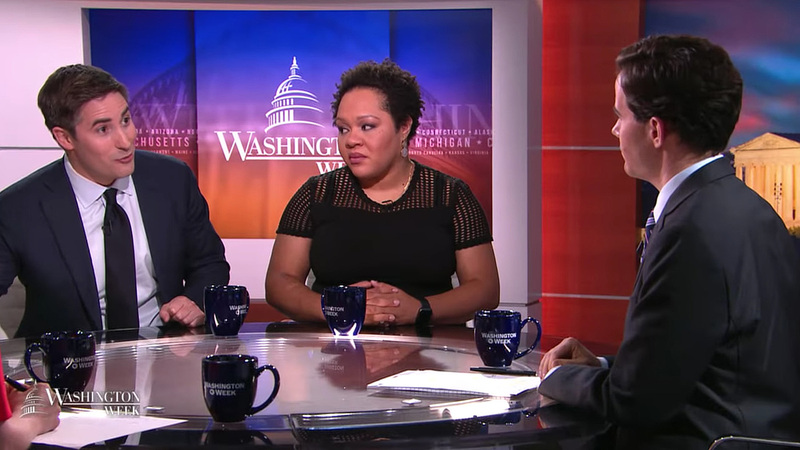 Another video panel is featured on one side of the circular desk and appears behind guests seated on that side of the set, while a printed background showing a glowing red sky behind the Capitol with edge-lit acrylic logo panels takes up the other side of the studio. The show’s Charlie Ide handled the lighting design on the set.